Parley Gail Willis, age 85, born September 9, 1931, passed away peacefully at home on Sunday, February 12th, 2017. He leaves a loving family who will miss him but whose sorrow is swallowed up in their belief that families are forever, and that through Jesus Christ’s Atonement and the plan of happiness, we will all be together again. His wife Karen Campbell Willis is comforted in this time of sorrow by her children and grandchildren, whom she and her husband love immensely. Gail was a quiet and gentle man, who loved with his whole heart, believed in forgiveness, loved nature, and who served his fellowmen with ease and grace. He is loved, will be missed, and leaves his family a path to follow… with faith in every footstep, around every bend, and through every valley. His family looks forward to the day when we can see him again. He is survived by his children Karie Peel, Kathleen Porter (Nate), Gregory Willis (SueAnn), Geoffrey Willis (Missy), and Katie Jensen (Ron), 21 grandchildren and 3 great-grandchildren. A memorial service will be held Saturday, February 18, 2017 at 11 AM, at Bunker’s Garden Chapel, 33 N. Centennial Way, Mesa, Arizona. In lieu of flowers, the family requests that donations be made to: Sunrise Points of Light Foundation, c/o Reflections Hospice, 1840 E. University Drive, Mesa, AZ, 85203. May the many memories Gail helped create find root in your hearts and bring special recollection to your minds as you both mourn and celebrate his wonderful life… and may God bless you as you deal with his passing. Dear Karen and family, we were sad to learn of the passing of Gail. We remember him as a very kind man. We send our sincere sympathy. Our thoughts and prayers are with you. I will always remember him as a good man, close friend and a person that it was a pleasure to talk with. I remember the many photos that he took, but the ones I remember the most is his Mesa Temple pictures. Our deepest condolences to Karen and all the Family. What a beautiful obituary for Gail. He was a wonderful man and a delight to take care. May you find peace and happiness remembering the wonderful memories that you and your family shared. I never think of Gail and you Karen without the great memories of our many trips to sunrise. Gail was so willing to drive the suburban packed with kids and equipment. Thank you for creating so many wonderful family memories for us. Gail was a kind and quiet gentle giant. We love you and your family. My deepest condolences, I hope that your memories with Gail will bring you a bit of comfort to your hearts during this sad time. Comfort can also be found at John 5:28,29 which reminds us of the resurrection hope to look forward to in the near future, I hope that scripture comforts your hearts as it has for my family and I. May Jehovah God and his son Jesus Christ give your family comfort during this sad time. Our lives have been enriched by Gail, a wonderful friend and neighbor. 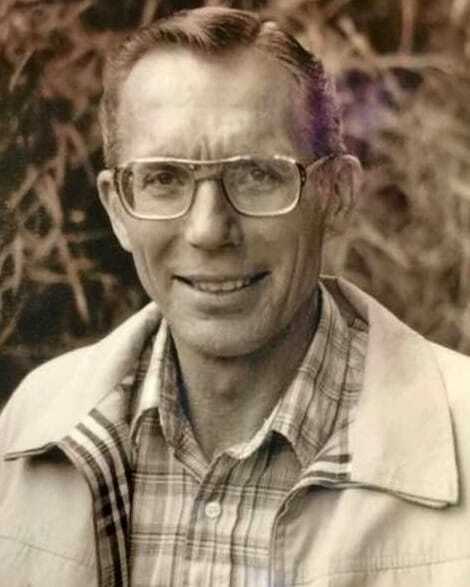 His service in Mesa 20th Ward Bishopric was one of dedication and love extended to all. He will always be remembered as a skilled photographer. His colorful photo print of the Mesa temple, taken near sunset, is in many of our homes and has had wide distribution. We also treasure his photographs published in the October 2003 Ensign featuring the intricate eight panels near the top of the walls of the Mesa Temple depicting various scenes of the gathering of Israel. We treasure the memories of the events our families have shared in Mesa, Pinetop, San Carlos and Jose’s Estuary in Mexico, along with other family, ward, and scout excursions. Of course we miss Gail and for a time tears fill our eyes, yet we are comforted with the knowledge that some day we will be together again. I remember Gail from the Delta Phi (for returned missionaries & new LDS students) house at ASU in 1955-56. He was kind and always willing to listen and give wise counsel. I will always treasure my memory and acquaintance with him.